To say dirty basting brushes gross me out a little may be an understatement. I hate trying to clean them off they never come clean. Because of this I stated buying paint brushes and then throwing them away. This gets expensive though as you can imagine. 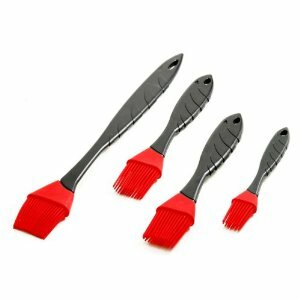 FlipGrillman sent me some Silicone brushes and I am hooked they clean up easy and no more wasting money on a one use brush. I was lucky enough to work with the company Grill Charms. I fell in love with their product. 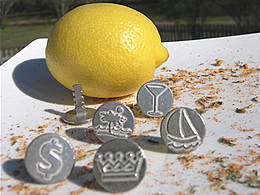 Grill Charms can serve either a functionable or decorative role in your grilling. They have a set that will let your company know which steak is Their Medium done one and which they may want to stay away from if they don’t want a little blood on their plate. They are also great if someone has a specific health or dietary need, they can mark their’s to stay away from seasonings they can’t have. They also have ones that bling up that steak a little with such things as Breast Cancer awareness or Boats and drinks. Char-Broil’s Brush Hawg Grill Brush is a great heavy duty tool for cleaning grills. This one is by far the best brush I have found. The heavy duty stainless steel bristles Stand up to all my messes. When it wears out I can just replace it. The handle stands up to all my scrubbing, not like some of the cheaper ones I have bought in the past. 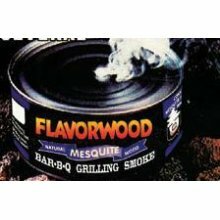 What can I say about this can of smoke except that It gives you all the smoke flavor without the wood chip mess. When I first tried this I was hesitant to say the least. I was afraid the flavor would be an artificial one. I was plesently surprised. I have used it over and over since then. This was fun perhaps I will do it again soon. Now run, grab your credit card and buy at least one of these. Happy Grilling to ya. Great grilling tips. New follower from Follow Me/Follow You. 😉 Would love some return love. Feel free to enter some contests while you're at it.